For the third day in a row 135 temporary admin workers at Manshiet al-Bakri Hospital have been on strike and taking part in a sit-in at the hospital. 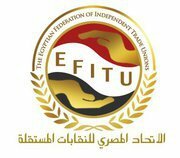 The strike began on Sunday 13 May because of corruption in the Heliopolis Health Authority. Officials there appointed 50 people through unfair practices, thus depriving some of those who had been working at the hospital for 25 years of their jobs and pensions. Some of the officials in the Education Department helped friends and relatives get appointed to jobs they were not qualified to do by interfering with the paperwork about their educational qualifications. The number of temporary admin workers in the hospital is around 135, and since there are no more than 20 permanent workers in the administration and support services, these departments depend on temporary workers who are deprived of their rights. Officials from the Health Authority visited the hospital and tried to persuade the workers to return to work in return for promises, but the workers refused to end their strike until their demands for permanent contracts have been met.